The Barack Obama we saw on stage at the 2004 Democratic Convention was a thoughtfully brilliant communicator, a man with palpable charisma and evident magnetism. He retains those qualities today. But while Obama has remained the same, the circumstances around him quite naturally have been evolving. And that in a nutshell has become the problem. Obama’s cool intelligence, controlled demeanor and patented reasonableness were perfectly suited for the tumult of the economic meltdown and the 2008 presidential campaign. The Bush administration had all but fled town, the economy crashing down around them. The political winds were roaring into Obama’s sails, pushing him briskly forward, his steadiness and equanimity close to ideal for the situation. The electorate looked at flippity, fidgety, crusty, erratic John McCain, and the choice was easy. 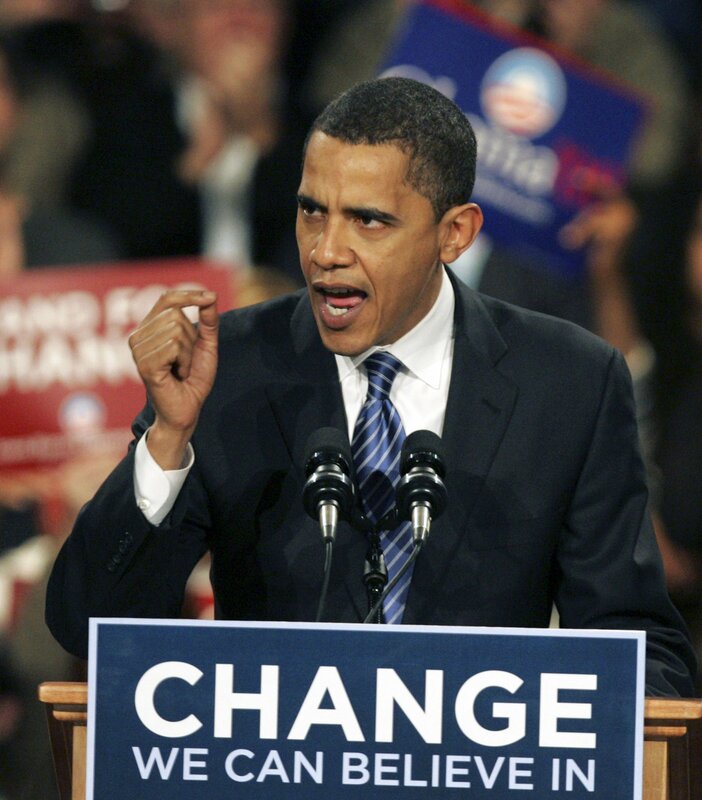 Democratic dreams of an Obama presidency were rooted in those evident skills of articulation and inspiration. Obama himself told us he hoped to be a “transformational president” in the vein of Ronald Reagan, his presidency a progressive mirror image of Reagan’s. But that goal of a transformative presidency wasn’t simply one for its own sake, certainly not in the minds of any Democrats familiar both with the nuts and bolts of politics and the role of overarching political trends historically in America. In fact, the transformational aspect of a presidency can be key to the practical accomplishments possible. A lot has been said about the deficiency of Obama’s mild-mannered approach, and his seemingly weak negotiating postures and results. And indeed, most of the deals he has reached conceded an almost astonishing amount of ground to the other side, certainly astonishing measured against what most Democrats expected from the current president given his enormous promise going in. But Obama’s actions and behavior are well explained by his personal history and biography. The widely known achievement of Obama’s showing up early in his resume was his ability to thread the needle of conservative and liberal factions at the Harvard Law Review, to construct an approach for attaining the highly coveted position of editor among a group of contentious and competitive cohorts. And in fact it was a genuine accomplishment. It also, there seems little doubt, was extraordinarily formative in the evolution of his general outlook, of what he believes to be effective when resolving situations where strong points of view are in opposition; and more importantly, in his idea of who he was, and how best he could achieve envisioned goals in the future. That skill set, along with Obama’s hyper-rationality, pragmatism and soothing temperament was central to his professional and political advancement, and his increasingly fixed self-identification. No one can blame the president, or anyone else for wishing to rely as much as possible on what they view as their reliable skill set, or primary abilities in any given situation. But unfortunately, Obama’s traditional skill set and what the times in which his presidency transpired demanded were painfully at odds. Clearly it went against Obam’s grain to begin his presidency insistently and repetitively pointing out the failure of the previous administration, and the negative results of conservative policy dominance. His stated wish was to focus on the future, and bring a squabbling polity somewhat back together. If this was a realizable goal, surely Obama would have been the president to achieve it. But it was not, we know now, anything close to a realizable goal. The comparisons to the era of FDR and the potential for Obama to emulate that president’s actions were healthy ones as his presidency began. But it was soon apparent Barack Obama was going to forfeit the presidential megaphone and the role as educator-in-chief to elucidate present and past realities, and to recast the nation’s political thinking in more progressive and Democratic terms. And the fact is, doing so is as much a part of his job as any other part, and a part he has failed to do. What the president began to resemble more than anything in his governing style, and in his efforts to move the congress toward his stated goals was a prime minister in a parliamentary system, responsible for the day to day, down on the ground functioning of government. Rather than marshaling public opinion and creating a political inevitability for the goals he was trying to achieve, he reverted to the role of cloistered functionary hammering out the particulars of deals, and not doing it particularly well if the results are any indication. In terms of the genuine political reality Barack Obama inherited, what was called for, what this reality demanded, was a counteroffensive to the unswerving offensive from the American right and an increasingly radicalized Republican Party. In making the comparison, and underscoring the expectations associated with Ronald Reagan, the economically devastated condition of the country each inherited, with the potential to set the new president and his philosophy apart from the previous one, was absolutely essential. It was a rich, and one-time opportunity to hammer home the profound and still unavoidably conspicuous failure of conservative policy and conservative governance, to use his Reaganesque amiability and likability to illuminate the scale of the Republican failure and to expose the fallacies of its prevailing economic assumptions and myths, and to offer a progressive, and in fact Democratic alternative. And then, to sell that alternative every single day of his presidency. For in fact there just is no such thing as an electorate , and certainly not a congress, simply responding to one’s good will and calls for civility and unity, and that itself being the catalyst for enacting actual policies of the kind one favors. The president must affect voters’ actual opinions, affect their point of view, affect their conclusions about ideas; he must educate them in historical perspective and the compelling facts pertinent to his goals. In essence he must be a formative factor in their political thinking in order to achieve any policy goal he may have in mind. As long as one fails to do that one will be facing an enormous headwind in everything one attempts, and face opponents who themselves most certainly will not fail to aggressively indoctrinate voters to their point of view. Which is where we are now: Obama battling fierce political headwinds on every single initiative he undertakes, playing almost exclusively on the opposition’s turf, and sending the country in directions almost certain to be highly detrimental. And that detriment becomes his own detriment in the next election. The president, obviously naively, emphasized to us during the campaign, and since, that he came of age well after the conflicts and pitched political and cultural battles of the 1960’s, and that he had nothing invested in them. Well, Barry Goldwater and Richard Nixon and George McGovern may not be around anymore, but that doesn’t mean Obama can unilaterally escape their legacy, nor pretend that the political realities that evolved out of the era simply don’t exist. Even in the turmoil of that period government still functioned. It functioned at a time when there really were two strong ideologies actively in play, as opposed to the current media make-believe of a polarization of equivalent polarities misrepresenting the one-sided extremity we actually have. Government functioned then as opposed to now, because no congress in the modern era has been comprised of so many truly extreme, exotically extreme and indoctrinated members, so many members unschooled in, and contemptuous of factual knowledge as now, with this manifestly extreme and unbalanced Republican Party. All that said, no one should expect any suggestion from this quarter that anything is to be gained from launching a primary challenge against Barack Obama. It’s true that Obama has fought every battle on Republicans’ home turf, when despite the administration’s claim, he didn’t have to. But anyone who tells you there is no difference between Obama and today’s Republicans is pulling your toupee. Punishing Obama most assuredly will be punishing yourself. Incumbents are very difficult to beat in general elections, and primary challenges designed to force the president to pay attention to his base will only weaken him. That is an indisputable fact of history. And the President, despite his difficulties retains a unique and valuable likability, and as I said at the outset, unparalleled gifts. Anyone who would consider doing anything to place this radical Republican Party nearer to complete control of the United States government is beyond irresponsible, and in fact ill-advised to the point of derangement. There is still the chance Obama will adapt to the demands of the present, and bring his unique and formidable gifts to the task. That’s not a change I can believe in, but I’m hanging onto my hope.